Discussion in Product Reviews started by Beast_Titan • Nov 6, 2017. 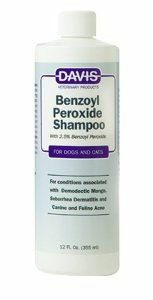 If your dog or cat is having a skin problem like mange or dermatitis (the dandruff looking flakes) this shampoo is the solution to your problem. You will see the result in the first week of use. My dog have a fluffy and healthy fur again. If you are a cat lover, it also works for cats too. For the low price of 9 dollars, Pet will have hair again and you wont be seeing those rashes and flakes anymore. Thank you for listing this product and describing your personal experience with it, i'll definitely make sure to give it a try once.